We have an update on the ever-changing cool girl hairstyle trend! Sooo...I did this today. I LOVE it! #pastelhair #unicornhair #pinkhair #purplehair Apologies if there are a few more selfies than normal in the next few days 😊 💖💜💙 thank you @okstephair !!! Don’t they look like trippy optical illusions? Opal hair is achieved by first dyeing the hair to a pearl color—one shade lighter than granny hair. 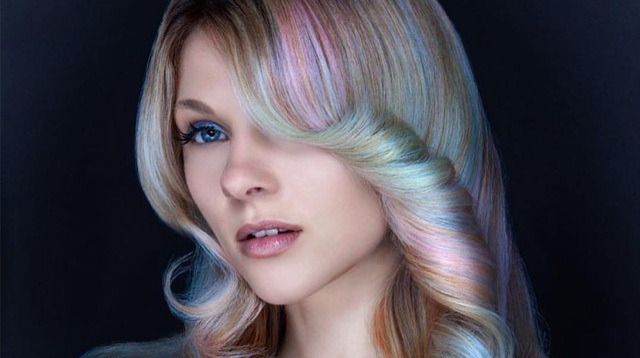 The bright colors are then layered on, creating dreamy, washed-out hues on the hair. Would you try out opal hair? Is Hair Tapestry The New Cool Girl Hair Trend?